Virtually every company takes part in some kind of fundraising activity each year, but I suppose the most difficult decision is choosing a charity that has a positive effect on everyone. 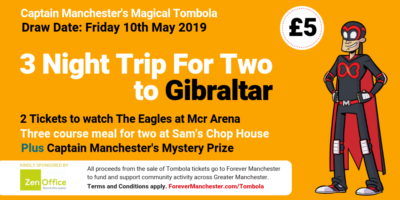 With Forever Manchester, you don’t have to choose, as the money raised ticks all the boxes in supporting issues that are close to everybody’s heart. 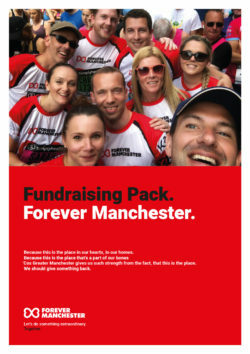 And what’s more, we can pretty much guarantee that if you live in Greater Manchester, you and your colleagues would have benefitted directly or indirectly from community activity close to your home or place of work… That summer fete, the kids sports teams, the friends of group that look after the local park, the mums and tots club, the group of ladies that meet up to knit clothes for premature babies, the multi-purpose community space just around the corner, the local amateur dramatics club, the community choir, arts and crafts, after school clubs, the cancer support group… and the lists goes on, all happening right now in your neighbourhood. 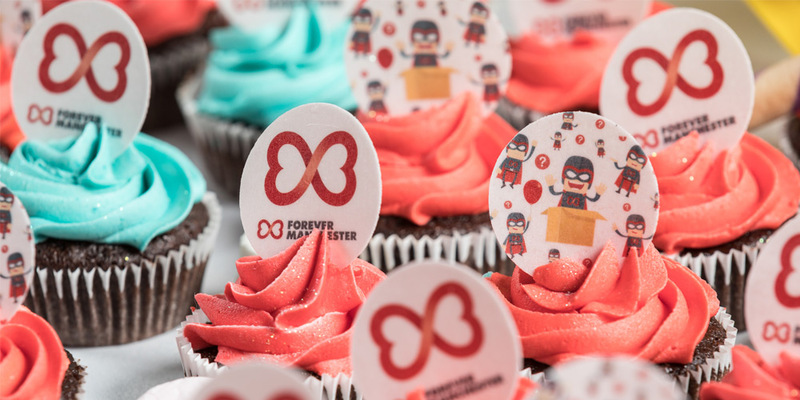 So now that we’ve properly convinced you to choose Forever Manchester, the next task is to decide what you want to do. In every office, there’s that group of super-giddy, fun-filled bods who will take on anything to build team spirit and morale. So get them to get together, and let their creative juices flow. Firstly, everyone loves a good old bake sale. Some staff members go to great lengths recreating their Grandma’s favourite recipe, others opt to buy that ready-made cake on the supermarket shelf. With Greater Manchester’s diverse population, why not create that local dish you loved as a kid, whether you were brought up in Broughton, Bury, Bath, Budapest or Bangladesh, your colleagues will love it and what’s more they’ll find out that little bit more about each other. Dress down days were hugely popular in the days where we all had to wear the traditional suit and tie, and due to dress code rules being relaxed in recent times, why not flip it on its head and get dressed-up for the day, or even come dressed in character or by theme. Similar to those staff who love baking (and eating), we all know those who enjoy donning the fancy dress outfit, and equally those who absolutely hate it, so go for the tried and tested ‘tie on the head… I’m Rambo’ option. Throughout the year, there’s loads of sporting events that lend themselves nicely to an office sweep-stake whether that be for the Grand National, World Cup or Wimbledon tennis. And with all office fundraising, it’s a great opportunity for the company itself to match their staff’s fundraising efforts turning £500 to £1,000 just like that.